Joining GivingWay has allowed EcoReach to reach international volunteers at no cost. 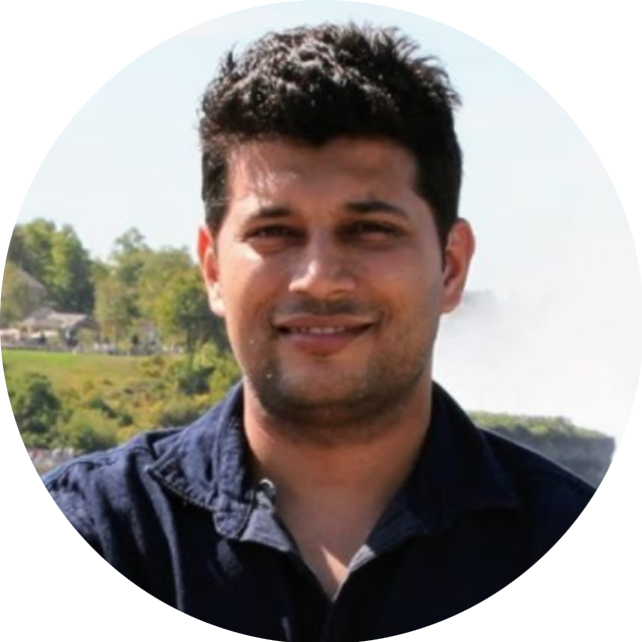 Although EcoReach is a small, grassroots non-profit in Nepal, GivingWay has provided it with free resources and exposure that have effectively levelled the playing field. This has allowed EcoReach to raise awareness and reach skilled, international volunteers that, up until recently, could only be reached by international non-profits with significant funding. GivingWay is the only online platform that has brought volunteers (onsite and remote) to EcoReach. "Because GivingWay is free for both NGOs and volunteers, it has a wider reach, and its popularity is growing because of its ideology. We get skilled volunteers who are very serious about our cause." GivingWay has helped us to grow, giving us free exposure to international volunteers. We are excited to have been a part of this platform from the beginning! GivingWay has provided us with wonderful volunteers from around the world. Some of these volunteers have gone on to become advisors to EcoReach, helping us to become more efficient. The platform also lets us choose the right volunteers for our program by allowing us to view their (public) profile & activities on the platform. As a result, we’ve always had very good experiences with volunteers who applied via GivingWay. Christina Rose Sprinks - Incredible experience! 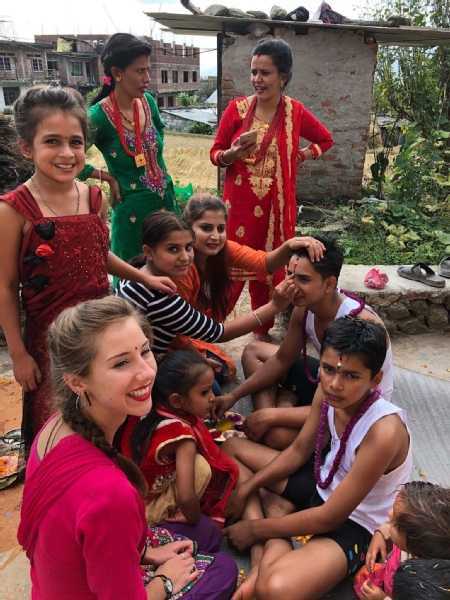 "I volunteered for Ecoreach for one week in October, and although I happened to be there for the week of Tihar, and didn't actually end up doing much volunteering because of the holiday, it was still one of the best weeks I've ever had whilst travelling! It was an incredible experience staying in Jhor Mahankal with the host family, who we incredibly welcoming. They were so accommodating that I spent most of Tihar feeling like a part of their family and did spend it with their family. I have genuinely learnt so much about the culture, through chatting to the family, meeting the neighbours, exploring the village and even learnt some Nepali. Niran was also incredibly attentive and always checked in a few times a day to make sure I was okay, enjoying myself and asking if there was anything I needed. He even drove all the way across the city to pick up a coat I had forgotten the week before and booked my bus to Chitwan for me. On the last day of my stay we did a transect walk and just from the one day I already felt I had learnt a lot about the location and distribution of resources, features, landscape, and major land uses in Khatmandu Valley. He was very efficient and really knows his stuff. So if you are looking for the chance to volunteer on a great project, in a beautiful location, whilst experiencing a genuine cultural exchange, I would highly recommend doing it with Ecoreach foundation!" "Even before arriving to Nepal, I was impressed by fast responses from Ecoreach to questions I had about the trip. That gave me a sense of security and assurance. After meet and greet at the airport , I was taken to the homestay. Ecoreach accommodates all the volunteer needs. I was assigned to help with the administration , which I love to do in my everyday life. The organization is transparent and craves to make improvements based on the feedback from the volunteers. Visiting Monohara Slum really puts your own life in perspective. Ecoreach is not all work and no play . On the weekend , they helped us book a trip to Pokhara. After the business hours, when possible Niraj took us on the motorbike trips around the city. Volunteering with Ecoreach has taught me that you can make a difference on the local level and immediately see the gratitude of the people. 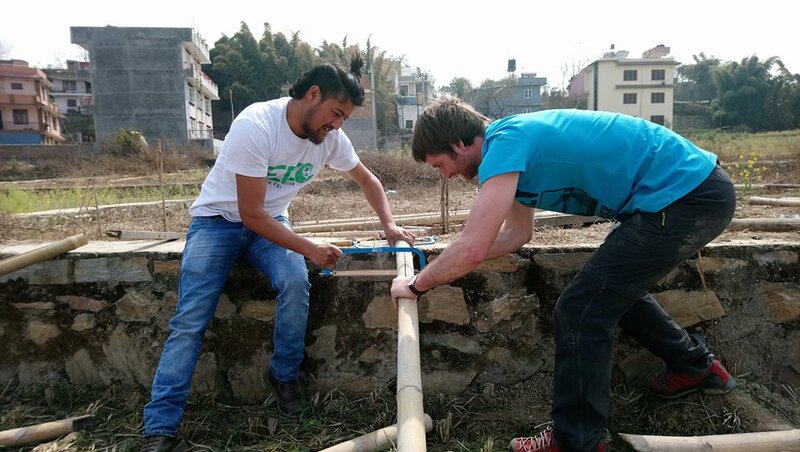 I definitely intend to continue volunteering with Ecoreach and return to Nepal next year." 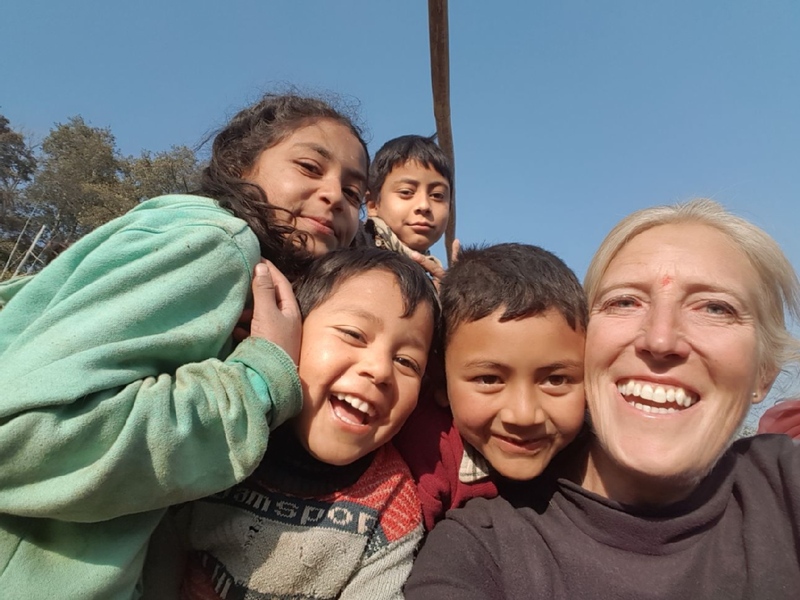 "I recently spent two weeks working with Ecoreach helping a dalit community close to Kathmandu rebuild one of the family homes after the entire family lost there house in the 2015 earthquake. Not only was the experience extremely rewarding, but it was great fun and I learnt so much about Nepal and it's culture and communities. Best of all were the people I met who all warmly took me into their lives and made me feel welcome. I was really sad to leave but am sure I will be back one day and have some new Facebook friends! The village was in a beautiful setting, the food amazing and I left feeling I had made a positive difference. I would really recommend working with this organisation. They are extremely knowledgeable, work on many important and varied projects around Kathmandu (some others of which I also was able to see ), have excellent spoken English (which really helped when working in the village) and were extremely supportive at all times. The whole experience ended with a ceremony in the village and I was presented with, and dressed in, traditional Nepalese wear and treated to a wonderful last meal. Many lasting and happy memories made." Since joining GivingWay in March 2017, EcoReach has hosted many skilled, serious volunteers onsite, and has received additional help from remote volunteers. EcoReach’s online visibility and awareness have also grown, providing this local, grassroots organization with resources that were previously inaccessible.